When determining any potential hazardous threats to a parcel of land, Polaris Engineering and Surveying, Inc. adheres to the strict standards set forward by the Federal Emergency Management Agency. Locating and plotting flood plain elevations is an important step in the success of any site development project or when insuring a parcel of land. 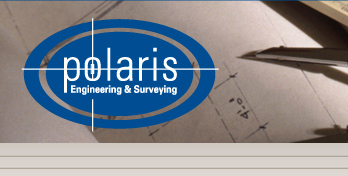 For information regarding Engineering Services, please contact Chuck Szucs (chucks@polaris-es.com) in the Polaris Engineering and Surveying, Inc. engineering department.